For alums Nick Jackson (BSJ09) and Ryan Jacobs (BSJ11), the sea of purple is real. Whether currently at Pacific Standard or in previous experiences, the duo sees great work coming from Medill alums everywhere. They both believe this is no coincidence. Jackson took over as editor-in-chief of the award-winning Pacific Standard print and online magazine in 2015, committed to combining “research that matters with ambitious narrative and investigative reporting.” Started in 2008 under the name Miller-McCune, the publication has grown in both circulation and online viewership since Maria Streshinsky, former managing editor of The Atlantic, took over in April 2011. Under Streshinsky’s leadership, the magazine changed its name to Pacific Standard to better ground it in the telling of critical stories coming out of the west side of the country. Jackson continues that intention today, motivating colleagues like Jacobs, now deputy editor, to do the best work that’s always for readers, first. To help fulfill this promise, Jackson changed the organizational structure in the office to empower his print and digital teams to think differently about where their stories lived in the magazine. Instead of assignments made by channel, editors pitch topics and “where” is decided based on what the piece needs to touch a reader’s head and heart. When editors want feedback, they still have access to colleagues and weekly editorial meetings, but editors are trusted to make decisions at their discretion. Jackson believes by breaking down traditional barriers between print and digital teams, the Pacific Standard product is in better service to their audience. In addition, Jackson and Jacobs both lead sections that they helped create during the magazine’s redesign in June 2016. For Jackson, that includes a solutions-oriented section called The Fix, and for Jacobs, it means running Field Notes and working as editorial lead on the July 2017 photo issue. The shared ownership represents another way Pacific Standard is shaking up tradition. Jackson developed this pedigree in thinking differently from his work at Outside Magazine, The Atlantic, Slate, The Washington Post, Texas Monthly, and as the editor-in-chief for The Weekly at The Daily Northwestern. Jacobs had his own defining experiences at The Atlantic, Mother Jones, The Bay Citizen, Sierra Magazine and the Chicago Reporter. 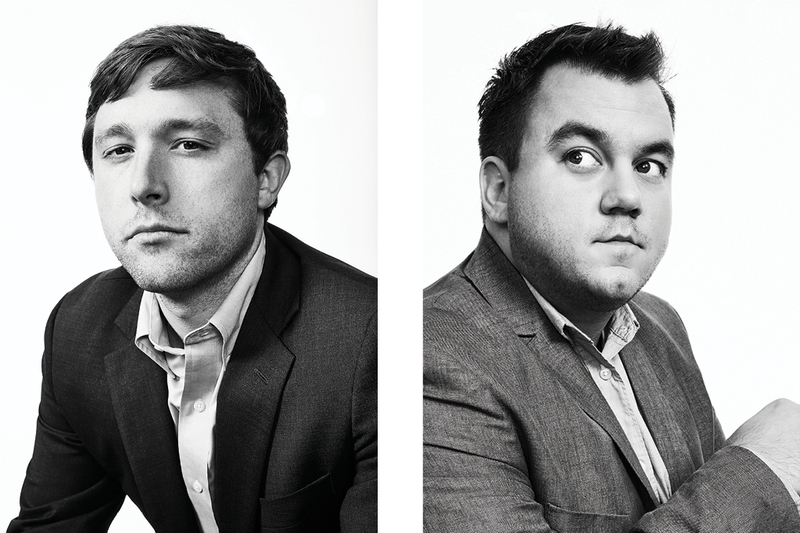 When the two joined forces at Pacific Standard, they both agreed it was important to push the magazine to educate not just readers, but policy. They wanted to direct the national conversation, and they’ve succeeded, with reporting by staff writers mentioned in state houses and provocative stories going viral. They call it “accountability journalism,” and while other publications say they are also doing it, for Jacobs, Pacific Standard has owned it the whole time. Taking risks has paid off. The magazine has been recognized with several awards, including a National Magazine Award in 2017 for Feature Photography and 2015 for Public Interest, a 2016 Science and Society Award in Longform Journalism from the National Association of Science Writers, and several design awards. Both will admit because Pacific Standard is a nonprofit with solid institutional backing, they don’t have the same business pressures that other magazines face. However, they feel strongly that the differentiator in the industry today is really understanding how to write and report in a way that resonates with the audience. They agree that they built foundation for quality journalism at Medill.